Strada Real Estate Services, Inc.
With multi-maintenance services so meticulous – from every corner to every ceiling, covering electrical, plumbing, lighting, general and more – and an exceptional focus on the details, we inspire a strong sense of pride in your building, resulting in true cost savings and freeing up time to do what you do best – run your business. Detailed services provide an inviting and professional environment for doing business. From individual offices to corporate headquarters, your buildings will reflect your customer care. Our focus on the details help you stay focused on what you do best – caring for your patients. Keep your campus running smoothly with preventative and responsive multi-maintenance services. We serve as the eyes and ears of your buildings to keep your properties in tip-top shape. Our attention to detail creates a great impression and help keep your doors open. Create and maintain a safe and comfortable environment — as cost-effectively as possible. Cost-effective solutions help keep public sector buildings operating at maximum efficiency. Strada solves a problem before it becomes a problem. Like having an in-house tech with the benefits of being outsourced. Make my life easier – don’t have to call multiple people or companies – one call does it all. 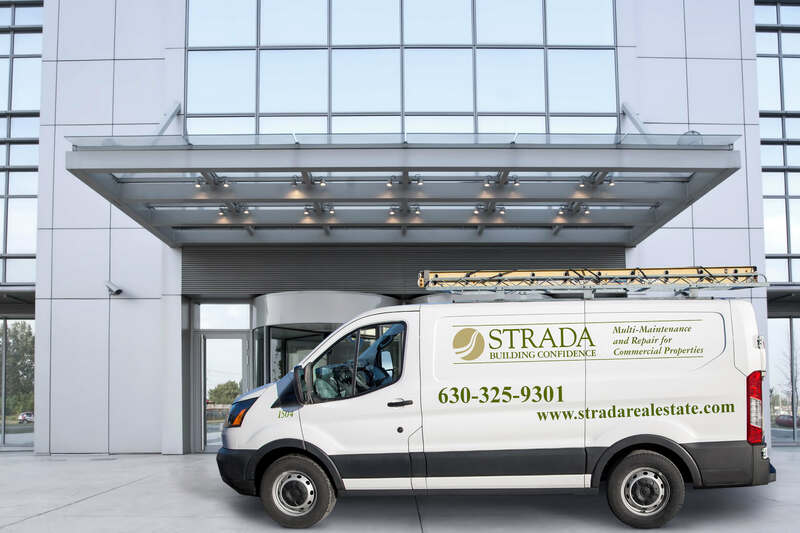 Strada takes the pain away from maintaining commercial buildings.